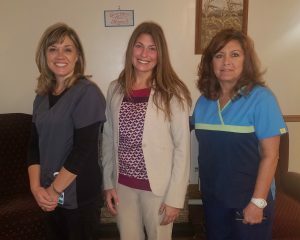 The Jennie B. Richmond Nursing Home will be starting another Nursing Aide Training (CNA) this winter. Apply on or before 12/17/2018 by contacting Emily Moore, RN, at Emoore@bch-jbr.org or (716) 592–2871 ext. 1289. November 4-10 marks National Radiologic Technology Week, a time to recognize the dedicated professionals whose work in medical imaging and radiation therapy help in the diagnosis and treatment of patients. The BCH Imaging Department has activities planned to show appreciation for its staff throughout this week.